Since the takeover of the online marketing world, there has been a plethora of internet start-up companies coming out left to right. It doesn’t take a rocket scientist to see that the marketing capability for businesses, large and small, is getting easier by the day. Online social gathering spots, like Facebook and Twitter, allow you to keep in touch with your friends, follow celebrities and current news, plus let you keep tabs on all the businesses you and your family patronize most. The internet has got to people on a personal level now with social media, and for true insight on each unique user, Pinterest is the newest and fastest growing social media tool available. Taking baby steps, Pinterest is gaining more attention and users daily. The amount of potential exposure from Pinterest is impressive, considering their numbers show that during the first year of operation, they had more than 25 million visitors on their site. The phenomenal statistics show that by using Pinterest, you potentially can connect with 1 out of every 20 people worldwide. 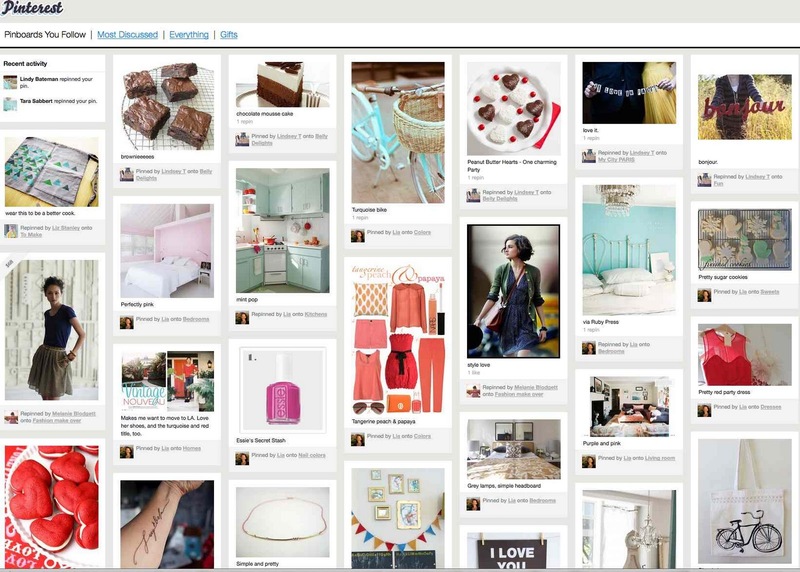 Pinterest allows users to create “boards” for “pinning”; showcasing images, text, or videos from a specific web address or uploaded from a hard drive. They are reminiscent of the bulletin boards from school and the memo board you use for photos; only these are public on the web, and organized according to your preferences. Your “pins” (the shared media) should include a caption or description of what you have pinned to your board. “Pins” include images or videos, and for maximum benefit to the business, they should be linked back to the original site on which the information, article, blog, or sale page appears. How do I make Pinterest work for me? Pinterest, or pinning, can especially be useful to any business looking for new marketing exposure, because it puts a showcase of the company’s product or work in one place present to the entire world. The caption allows you to include important information about their craftsmanship, and the price of items or services. Linking your pin to the page on which it appears, can redirect traffic to the company’s full website in order that potential customers can see your company’s complete overview and information. Adding a hashtag to the beginning of your business’ name or product makes the word a search engine ranking keyword. So, it’s a marketing tool? Pinterest can be a great marketing tool for any size business. An entire world of consumers can search for anything they are looking for, whether it is remodeling, dog clothing, art, books, or sparkly shoes for your little girl. From that picture, or “pin”, the potential customer can be linked directly to the company’s official website. Other Pinterest users may find the product or service worthy of sharing, and share the “pin” themselves on their personal Pinterest board with their own followers. Pinterest has this function much like having Facebook friends. This can easily result in the creation of another entire set of potential customers that may not have your come to your company any other way. I have to pay to be a member, right? The great thing is that even with all of the benefits and potential profits, this is a marketing tool that is not only free, but the interface is completely user friendly. Pinterest has even developed apps for smart phones making the potential for your customer base to grow and making connecting with your audience even easier, even when the potential customer is not near a computer. Pinterest can even be linked to your business’ Facebook or Twitter with the option of notifying your followers or friends on those social media websites when a new “pin” has been added to the company’s Pinterest board. I bet it’s not that big of a deal if I don’t use it now. Many corporate executives and entrepreneurs may have never heard of Pinterest while most social media users and internet users cannot believe that it is not better known. This boils down to the fact that there is an entire open and untargeted market of consumers that are interested in information, services, products, and more. Say that you sell shoes. If you were given the opportunity to set up a booth for free at a shoe fair, would you? Or would you sit in the parking lot watching all the enthusiastic women and men lining in to buy their favorite styles and just wishing you could sell them your shoes? Of course, you would set up the booth! This is exactly the same thing. Many use Pinterest frequently for everything in their lives. From expressing themselves, to promoting products, services, or ideas that they feel are of good value or quality. Based on the simple domino theory, this could potentially be one of the greatest tools for marketing that any business, offering any product or service, can have due to the massive audience reach. Now, it’s time for you to get to work creating your online bulletin board. Remember, each “pin” is a direct door to your website. Looking to get moving with Social Media for your company? Get in touch today 604 614 0174 or e-mail. ← What is a Google Enhanced Adword Campaign?